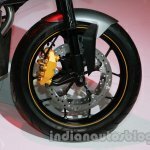 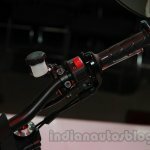 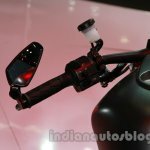 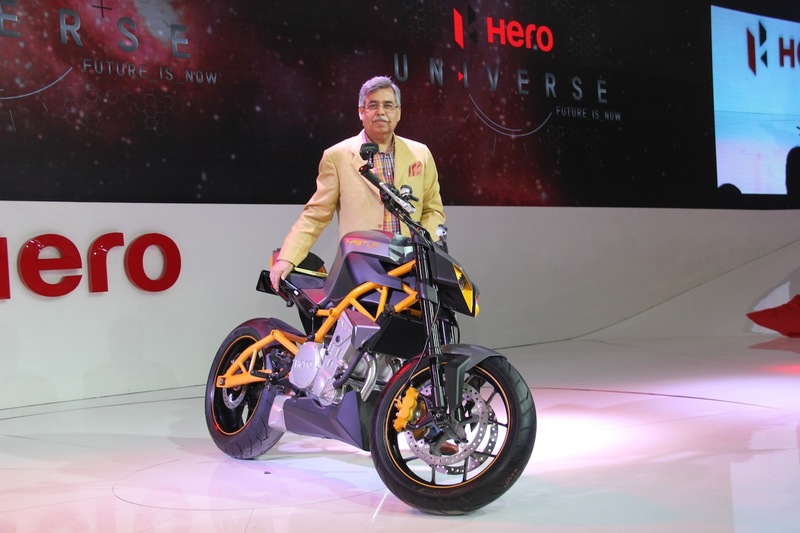 Hero Motocorp, the world's largest two-wheeler maker by volume, has an interesting collection of vehicles at the Auto Expo. 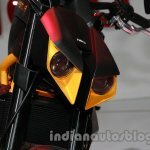 Take this bike, the Hastur, for example. 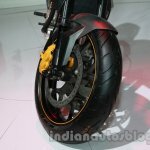 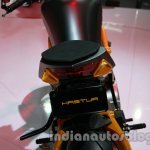 With its aggressively styled streetfighter design, the Hastur packs an over-square parallel twin, liquid-cooled, four-stroke 620 cc engine developing 80 PS at 9,600 rpm and 72 Nm of torque at 7,750 rpm, mated to a 6-speed gearbox. 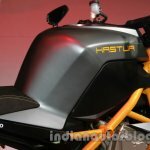 Features include a counter rotating crankshaft to improve handling quickness, a cartridge type transmission efficient power transfer, cylinder head with controlled swirl injection (CSI) technology, Trellis steel tube frame with removable rear aluminium sub frame, twin projector beam headlights with LED running lights, integrated LED winkers and LED taillight. 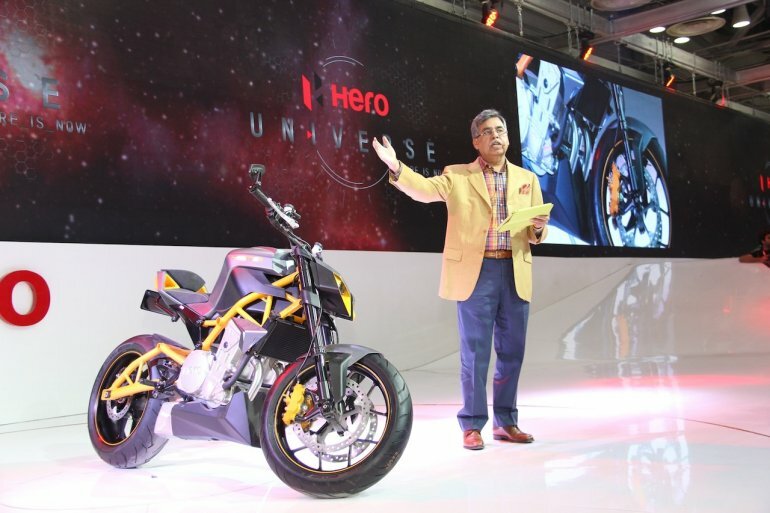 We have now successfully developed an ecosystem of technology research & development that is designed to think beyond the obvious and deliver future-ready mobility solutions. 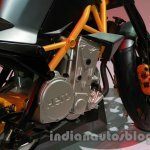 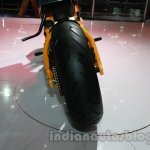 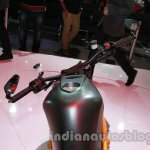 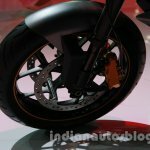 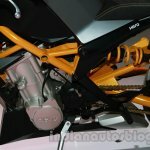 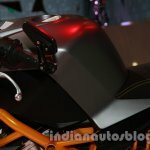 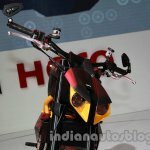 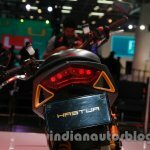 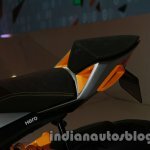 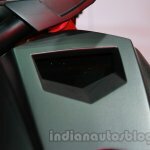 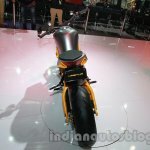 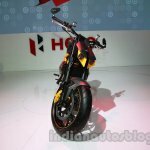 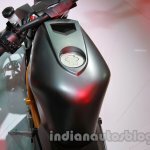 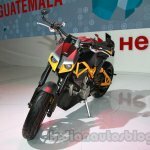 The all-new 620-cc Hastur, which will likely mark our foray into the superbike segment, and the futuristic SimplEcity and ion concept bikes showcase the shape of things to come from this ecosystem.